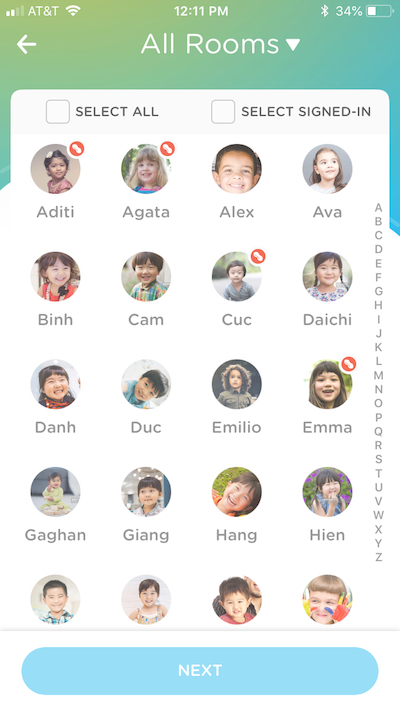 When adding a meal activity on iOS devices, you might see a little peanut icon next to some of the children's profile pictures. This indicates that the child has something written in the allergy field of their profile. At this point, the peanut only serves as a visual reminder. You will still need to go into the children's profile and click on the "Edit" button in the upper right to view what their allergies actually are.